We engaged TOPOS to do our semi-detached house in Bukit Timah and was very satisfied with the overall architecture and interior design. There were lots of attention to the design and details and the overall spaces were very functional and satisfactory. It was a long process from start to finish and though there were frustrations at times as in any project, they managed to deliver a home that accommodated three generations under one roof with relative ease. Everyone in the family was happy with the end result. 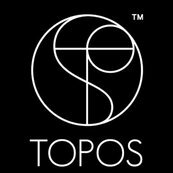 We highly recommend Alan and his team TOPOS to anyone that would want not just a house or an apartment but a home!